I replaced the portraits of recruitable NPCs and important characters not recruitable (Sarevok, Gorion, Drizzt, etc ...). Copy the folder "portrait" in My Documents/Baldur 's Gate - Enhanced Edition. 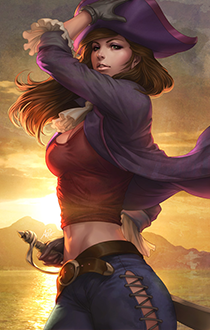 I wonder who started the "Imoen IS Alyson Hannigan" thing. I mean I kind of agree with it, but. It was probably @Jalily. Clearly, she started it all. Personally, I think that the Alyson Hannigan's version is the best. Jaheira looks a bit 3D animated. @Asher. Excellent work. Very artistic and dramatic portraits. Thanks also for providing the information concerning the portraits of non-recruitable NPC's and for the EEKeeper guide (Italian). 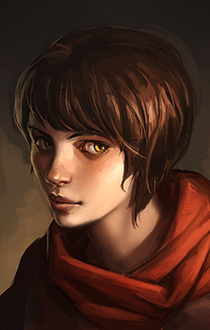 The "original" portrait used by Jalily as her avatar was made back in the days by a artist named Iamotu. Minsc is too Handsome in this picture to give appearance to the crazy berserker ranger he is. But it's a nice picture nonetheless. The Alyson Hannigan garbage aside, these portraits are absolutely wonderful. Imeon's good, bit bright though. 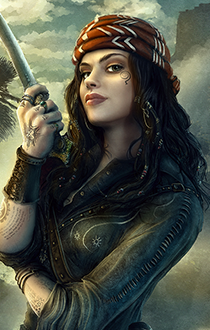 Hey Asher, Where did you get this Portrait of Jaheira? Are there any others like it for the other NPC's? I'm not sure if there's a way to get the full quality images without installing the mod. The page lists 'Phaere' as the author/creator, so maybe you can dig them up via Google. If you download the mod and point it to a BG2 directory (you don't need to install any of the portraits), a folder will be created with the various sized portraits inside. It's been going on almost as long as the game (the original) existed. I remember coming across this picture at least a decade ago. That's actually technically the same in most of Europe (the horns of the cuckold, it is called), but it isn't really used anymore, at least in England. @Eudaemonium's right, it's a bit of an archaic image. Shakespeare used it quite a bit, I'm sure Othello obsesses about being a "horned man" when he fears his wife is being unfaithful. It only gets brought up in English if someone's being deliberately poetic nowadays.